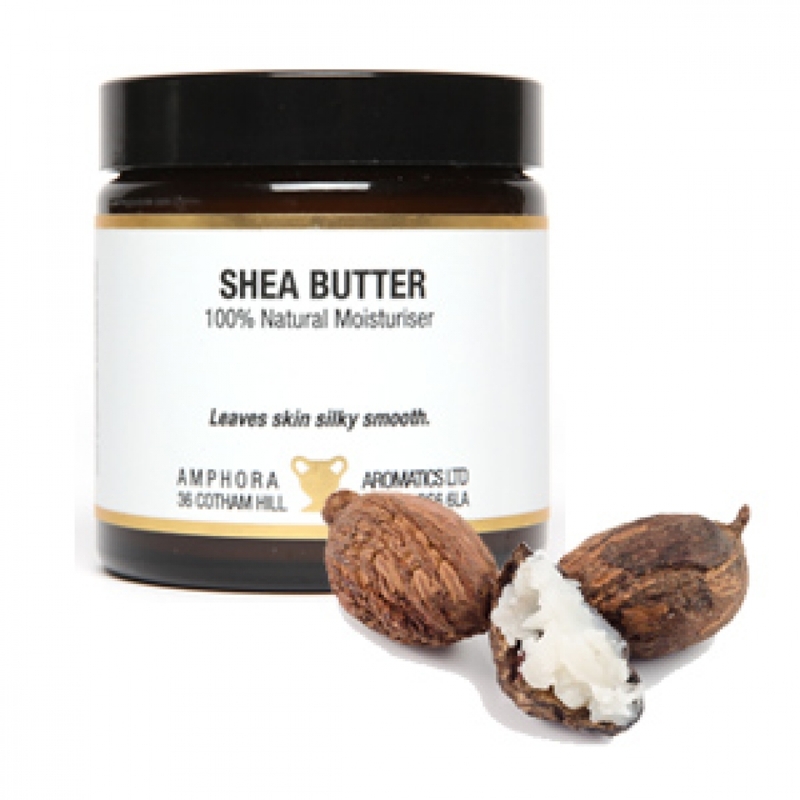 5 Reasons we Love Shea Butter - Amphora Aromatics Ltd – Supplier of pure essential oils and aromatherapy Products. As summer comes to an end, it is the perfect time to use a rich moisturiser, such as Shea Butter, to help hydrate skin after being exposed to the sun. Shea Butter is rich in Rich in vitamins E, A and F as well as essential fatty acids. This abundance of vitamins makes it wonderfully nourishing, helping to leave our skin feeling healthy and hydrated. Shea Butter is rich in antioxidants, making it a great ingredient to help aid the skin in its regeneration process. It has often been used in skincare to help reduce signs of stretch marks and scars. You can try using Shea Butter along with Jojoba oil to gently massage over the skin. As the colder weather draws in, our lips are likely to suffer. Shea Butter is great to use as part of a natural lip balm to nourish and protect the lips during winter. Try melting down 2 parts Shea Butter along with 1 part Beeswax pellets (to thicken the mixture), then add 10-15 drops of essential oil (Peppermint, Lime, Lemon or Orange oils work wonderfully in lip balms). Pour mixture into some small empty pots and enjoy an all-natural, luscious lip balm (these would make a great bespoke gifts as well). Shea Butter is a natural hair conditioner. Often found in many ready to use conditioners - including our own AA Skincare Rose & Pomegranate Conditioner – it has intense moisturising properties, particularly beneficial to those with dry, curly or frizzy hair. It isalso great to use on hair that is often exposed to heat. As the summer months end, it is important for us to take good care of our skin, particularly after spending long spells in the sunshine. Shea Butter acts as an intensive moisturiser, helping hydrate and lock in moisture in even the driest patches of skin (perfect for use on knees and elbows). We have a gorgeous range of whipped, ready to use Shea Butters here at Amphora. You can find a plain version or pre blended butters with pure essential oil blends such as our bestselling combination ‘Frankincense & Rose’. We also stock plain Shea Butter as part of our Base Preparations range which is ideal for use in creating your own homemade products.